We have a professional shop ready to serve you! 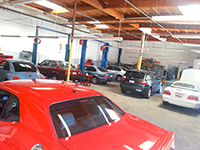 Auto Techies Auto Repair has a dedicated 5,000 square feet of mechanical repair shop with the latest in scan tools, and specialized tools to fix and service your car back to the original condition. 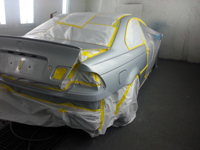 Our body shop can do it all! Auto Techies auto body has a dedicated 5,000 square feet of the body shop to insure there is no cross contamination of chemicals between the body shop and mechanical repair shop. 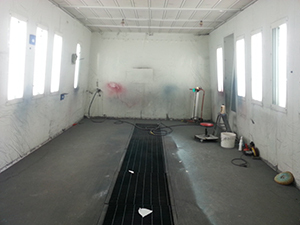 Body shop has a laser frame alignment rack, a computerized paint mixing station and of course a temperature controlled clean room to paint your vehicle.